Exactly one week after the launch of its Black Friday campaign, Nigeria’s number one online shopping destination, Jumia has revealed that lower price point Asian smartphones remain the most searched items by Nigerians across desktop and on the Jumia mobile App. The Chief Executive Officer of Jumia Nigeria, Mrs Juliet Anammah explained that the lower price point smartphones continue to drive demand and purchase. “We are not surprised by these trends because, in the last 3 years, we have observed an interesting trajectory of our mobile phones category. 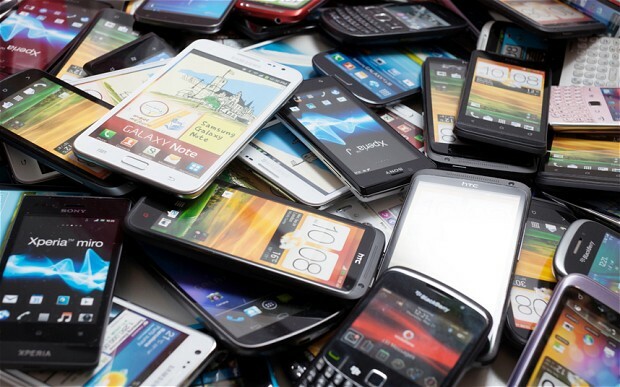 In 2014, the average price of smartphones was US$216. It dropped to US$117 in 2016, and dipped further to US$100 in 2017,” Anammah stated. Earlier in 2018, Jumia had predicted in a mobile report that by the end of the year, the average price of smartphones will dip a bit further considering the fact that there are new smartphone brands entering the market. “Asian mobile brands continue to build on their Africa-specific strategy by introducing lower price points’ smartphones adapted to the profiles of African users,” she added. It will be recalled that the Chief Transformation Officer, MTN Nigeria, Olubayo Adekanmbi predicted at the launch of the Jumia mobile report earlier in the year that the preponderance of low-cost smartphones and the drive towards aspirational self-enhancement, coupled with exciting mobile operator-led propositions will continue to drive smartphone penetration, with many first-timers finding a compelling reason to pick up low-priced smartphones or second-hand smartphones. On the mobile App, some of the most searched smartphone brands in chronological order included: Infinix hot 6, Tecno, iPhone, Gionee, and Samsung, while on desktop, in chronological order, included: iPhone, iPhone 6, Gionee, iPhone X, Itel, Tecno, Infinix, iPhone 7, Infinix Note 4, and Samsung. Other most searched items across desktop and the Jumia mobile App included: refrigerators, washing machines, human hair, shoes, bags, sewing machines, Indomie, generators, PS4, blenders, gas cookers, wristwatches, rice, and rechargeable phones.